The Return of Makin' It Blue! Hehe, you thought you could get rid of me! Welcome back! I'm sure you thought you nearly seen the last of this blog, however there was just a part of me that could not let it go. Minji did a fabulous job running this blog of course, so I hope I can live up to those expectations. There are so many blue things out there to share with you all, so I'm digging this blog out of the graveyard (With permission from Minji of course). Are you finding blue things wiggling their way into your life? Maybe adding some extra blue food coloring to spice up a simple dish? Well! 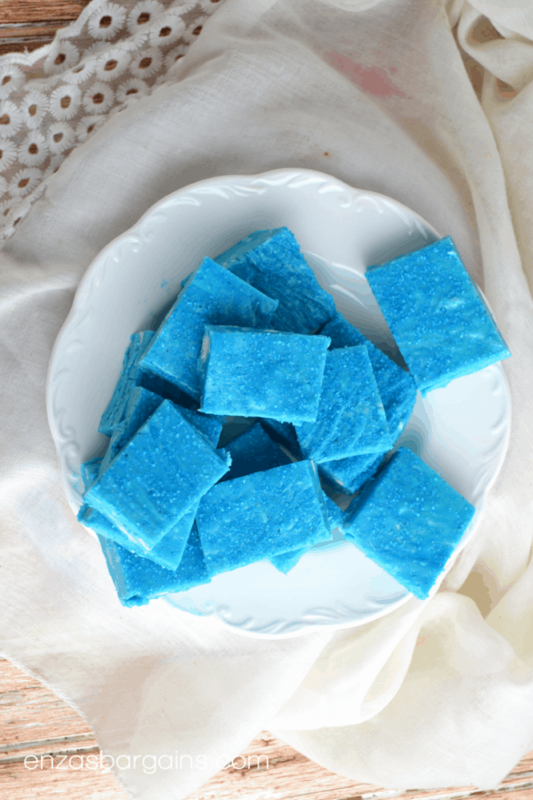 Here's some blue fudge you just need to add into your book of Blue foods! Melt chocolate according to package, then remove them from the heat. Add in 4-5 blue food coloring drops. Stir. This is going to be the start and end to blue fudge. Everything is better with sprinkles so that will be the next step. Pour into a pan lined with wax paper. Sprinkle the top with blue sprinkles. Refrigerate until the fudge sets. This will take about 20 minutes. Remove them from the refrigerator and cut into squares and serve. Bring a taste of summer to your home! Has where you lived been struggling to find Spring? Or maybe its just hot all around for you. Either way, make it feel a bit like summer with this delicious lemonade. First, accumulate all of the needed lemon juice from your lemons; we used a juicer to save time and energy, however you can get the most juice by firmly rolling the lemons between your hand and the counter if you’re doing it by hand. In a gallon pitcher combine lemon juice, sugar, and water; stir/shake/mix. Unwrap two Jolly Rancher candies and place in a microwave-safe glass measuring cup with just enough lemonade to cover candies. Microwave candies for about 1 and 1/2 minutes; stir. Set aside and continue melting the rest of your candies the exact same way (you should do about 3-4 batches). Combine melted candies with prepared lemonade. Chill before serving or serve immediately over ice. You may want to add a few drops of food coloring to achieve that pretty blue color! I had gotten the chance to catch up with Taylor Favor, everyone's favorite head of cluster for Force. I asked her what her favorite Blue item was because let's be honest, everyone has something and this is what she said. I have another necklace I wear besides my camp necklace. 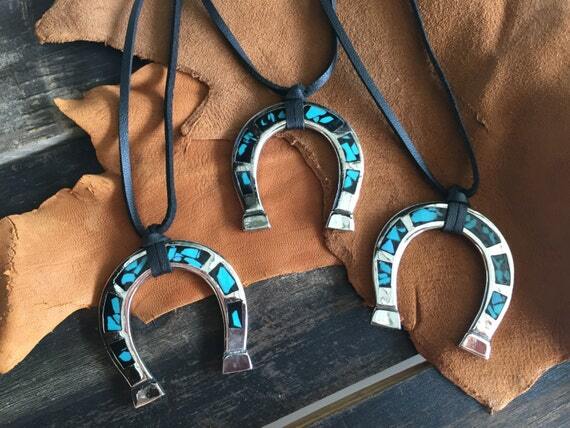 It’s a horseshoe made from turquoise. My moms family is Cherokee and to them turquoise is a sign of protection. So I guess that’s another reason I like blue. It’s always meant protection and love to me. What a lovely necklace, as for your relation to the color Blue I never thought of it that way; everyone has their different perspectives on colors that mean different things. I'm glad you can see the color blue as a since of protection. I hope you all enjoyed the comeback of Makin' It Blue! Let me know if I lived up to the expectations of the blog or not :P Or did I just make you hungry? I'm always open to ideas so if you have any feel free to comment below or send me an Iris Message. Until next time, See ya next week! I have a date with my couch now and maybe a lovely glass of wine. Catherine Smith Blue Blue BLUE! Sara Perkins 안녕하세요 (more formal version of hello in Korean)! Hoorah for blue things! Aria Calderon You made me hungry >. Missing Camper I am so happy it's back!